STRETCH / HOOK is both an installation and a performance. People are invited to walk through the installation and experience the spandex walls up close. The performance is designed to be viewed in the round or from at least 3 sides. Each installation is site specific, utilizing as much of the integral architecture as possible and includes a custom-made floating floor (for indoor venues). 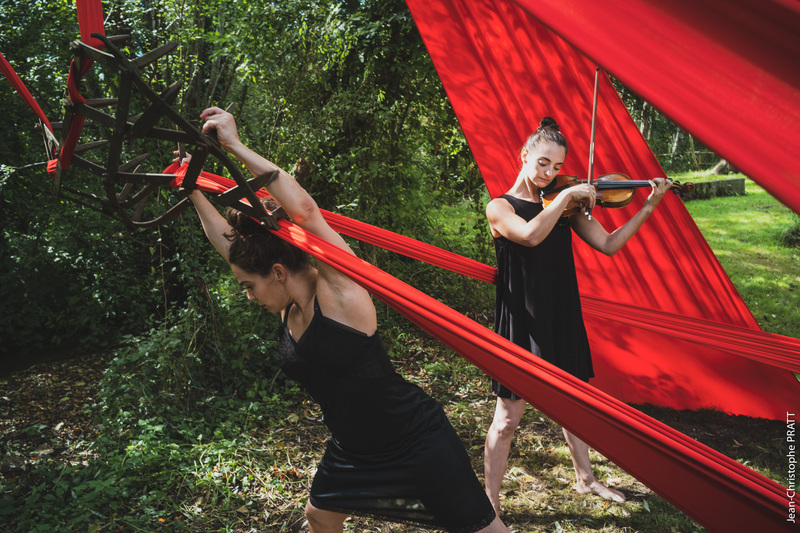 STRETCH / HOOK is ready for touring; can be installed / performed in galleries, museums, and outdoors spaces; and can feature a rotating cast of musicians. Comprehensive technical requirements and fees available upon request.